These boys from Liverpool are known as the Fab Four. Below is my list of top 10 Beatles Songs. For this list, I’ve chosen my entries based on a combination of the artist’s fan favorites and their most commercially successful songs. Crafted around McCartney’s lead vocals and piano playing, this rock and pop ballad seems simple at first, but gradually becomes more elaborate as instruments like guitar and tambourine are incorporated. “Hey Jude” didn’t only make history for being a 7-minute-plus British chart topper but also for ruling radio stations and topping the American chart for nine weeks despite its length – it’s just that good. And then there’s the unforgettable “Na-na-na na” and its orchestra-led conclusion. The Beatles couldn’t have crafted a more perfect closer to the groundbreaking and best-selling Sgt. Pepper’s Lonely Hearts Club Band: with its melding of psychedelic rock, progressive rock and baroque pop, its orchestral sections, and musical and lyrical contributions by Lennon and McCartney, “A Day in the Life” was an ambitious and original tour de force. As such, one of Lennon and McCartney’s finest compositions also became one of The Beatles’ most influential tracks. Though both Lennon and McCartney are credited as writers, this Beatles’ track was all McCartney. In fact, he conceived of the haunting melody in a dream and then brought the acoustic guitar ballad to life by getting a string quartet to accompany him. Thanks to its baroque pop style and touching lyrics, the simple-but-effective “Yesterday” topped American charts and eventually became recognized by the Guinness Book of World Records as one of the most recorded songs ever. If it weren’t for this upbeat composition, Beatlemania may’ve never come into existence. With its rocking chords, pop influences, and vocal harmonies, “I Want to Hold Your Hand” caught on with music lovers so strongly that it topped both the UK and U.S. charts. Thanks to its happy-go-lucky feel and mood, we still can’t help but clap our hands and enjoy the Grammy-nominated tune today. He may not have been credited for it, but it’s well known that Eric Clapton lent his exquisite guitar skills to the solo on this Harrison-penned piece. Featured on The Beatles’ self-titled double album, this bluesy hard rocker is especially striking thanks to its vocal harmonies, use of multiple guitars and the band’s musical chemistry. It’s also an often-cited fan favorite. Mixing pop, rock and gospel, this ballad was released just before McCartney declared he was leaving the Fab Four. As such, it prominently features Macca on vocals and piano and moved so many with its "words of wisdom" that it hit the top 10 of the UK and U.S. charts. As the title song to the documentary of the same name, "Let It Be" was also awarded with an Oscar and a Grammy. As the title song to the 1965 film and its accompanying soundtrack, this folk rocker topped both the U.S. and UK charts. While its fast pace was a fitting musical representation of the band’s swift rise to fame, the single also ingrained itself into our musical consciousness through Harrison’s surf rock-inspired playing, Ringo Starr’s energetic drumming and Lennon-McCartney’s vocal interplay. With its psychedelic pop and rock flavors, this single was really able to bring the magic and wonder of Strawberry Fields to life. Inspired by Lennon’s childhood memories, it shared the A-side with McCartney’s “Penny Lane” and stood out for its distinctive musical structure and use of the mellotron and Indian harp. After putting in 45 hours of recording time, the band was rewarded with a top 10 smash and a Beatles classic. It doesn’t get more romantic than this: with George Harrison at the helm, this gorgeous rock and pop number proved the Quiet Beatle was more than just a talented guitarist. Fans fell so in love with “Something” that it topped the American charts. With Harrison’s sweet vocals complemented by a string arrangement and an instrumental break, the three-minute tune is also one of the Fab Four’s most covered songs. It’s partly thanks to George Martin that this Rubber Soul track has its baroque pop feel. The producer contributed piano to this gentle but memorable number that shows a more personal side to John Lennon. 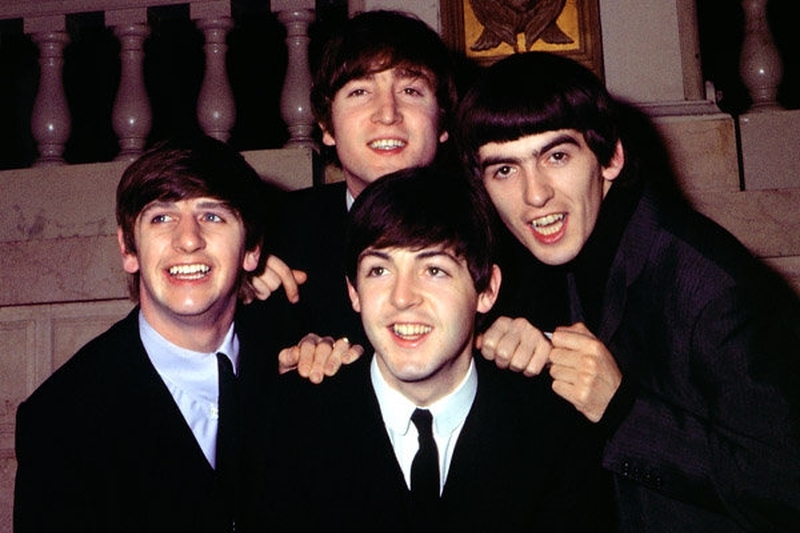 Arguments with Paul McCartney about who contributed what don’t take away from the fact that the Beatles were able to capture a beautiful melody and showcase the band’s evolving sound in just two-and-a-half minutes.